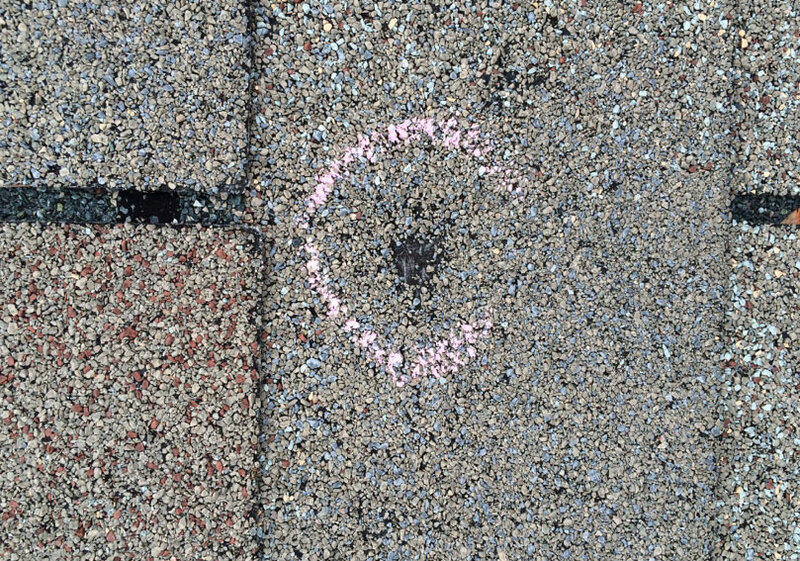 This mark circled in chalk is what a hail hit looks like on your roof. This mark was caused by hail the size of a golf ball, which is why it is dark and very obvious. Hail damage may not seem like much more than a scuff mark but a hail hit is actually incredibly detrimental to your roof. As you can see, the granules on the shingle have been completely disintegrated by the hail. The underside of the shingle shows the true impact of hail, which affects the entire shingle and not just the top layer. Even the bottom layer is completely gone, allowing water to penetrate through. 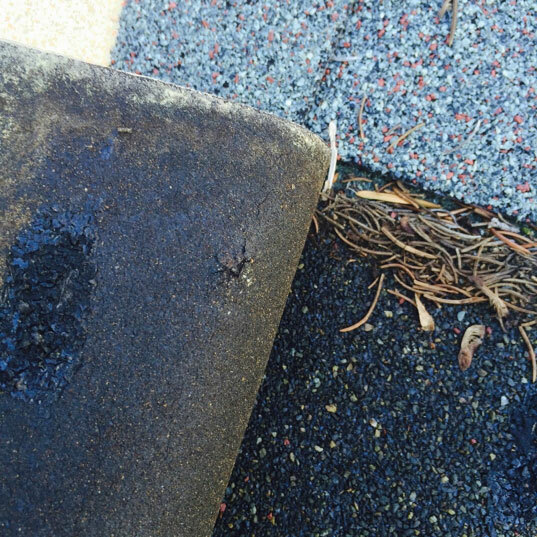 Your roof is not designed to shed water from underneath the shingle. In fact, your shingle is the very barrier preventing that from happening and once your shingle becomes vulnerable, so does your home. 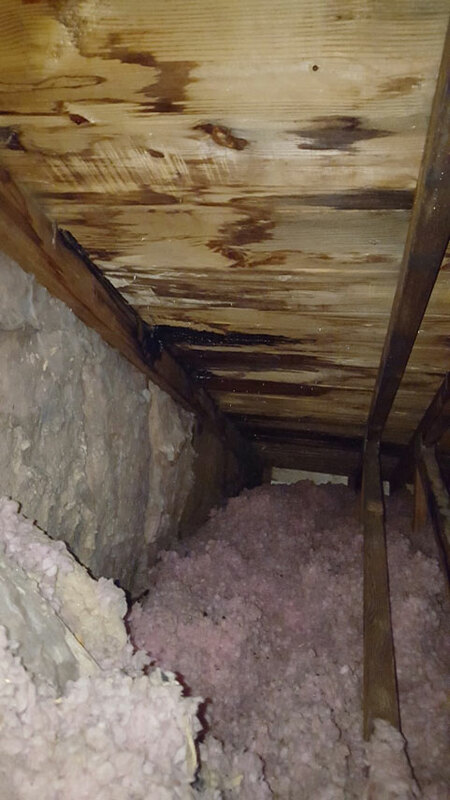 Here is a water leak in the attic which is a result of water being able to penetrate a hail damaged shingle. 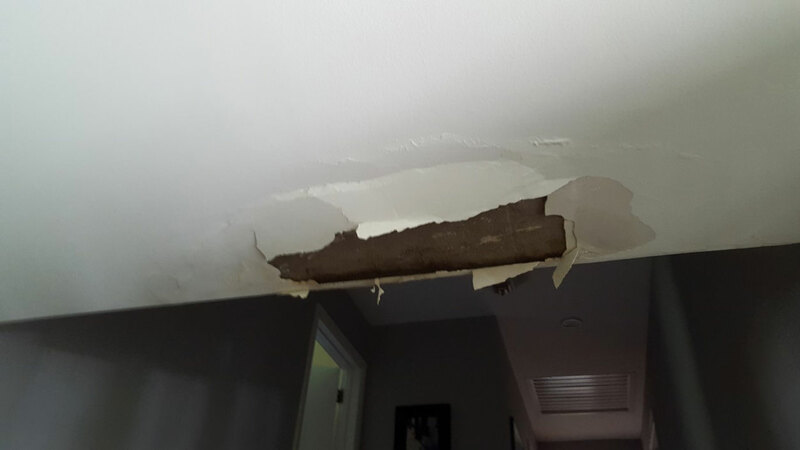 Water can leak through your attic and you may not notice it for months, until enough drops and creates a water stain on your ceiling. After a hail storm, a homeowner may see water stains with the next rain storm while others may not see something for months or even a year. However, the longer a homeowner waits to file a claim, the less likely it will be coverable under hail damage. After a hail storm, a homeowner may see water stains with the next rain storm while others may not see something for months or even a year. However, the longer a homeowner waits to file a claim, the less likely it will be coverable under hail damage. To prevent more damage from incurring, it is always best to stop the problem before it even begins. If your area was reported to have hail, schedule an appointment with a Haag certified inspector to come out and take a look.